Slovakia. 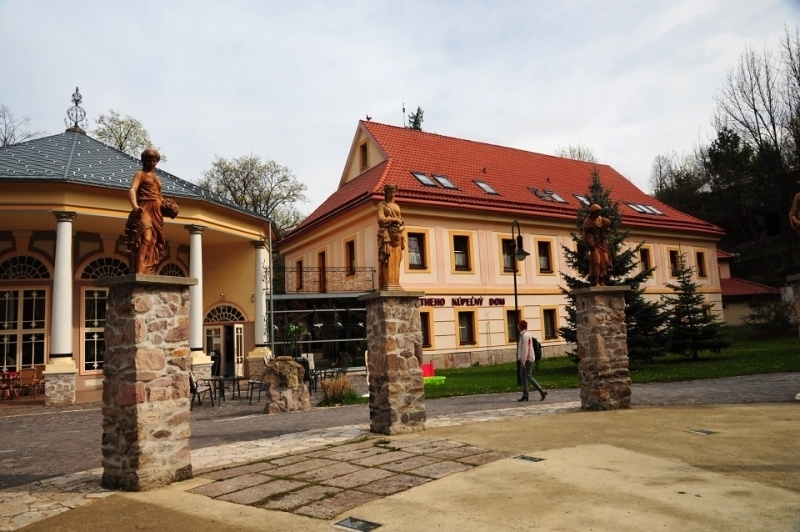 It is situated at the foot of the Štiavnica Mountains between Hliník nad Hronom and Podhorie municipalities near Banská Štiavnica.A pleasant ancient spa town is ideal for a day trip even for families with children. The village is popular mainly thanks to the thermal springs and healing water. Besides, tourists are attracted by Kapitulské bralá cliffs and Szabóova skala rock which became the first protected area in Slovakia in 1907.